Brief Synopsis – A group of childhood friends are invited back to the summer camp of their youth to celebrate 20 years since they were there for the summer. My Take on it – This is one of those films that probably seems to look much better during the planning stages than when it is finally actualized. 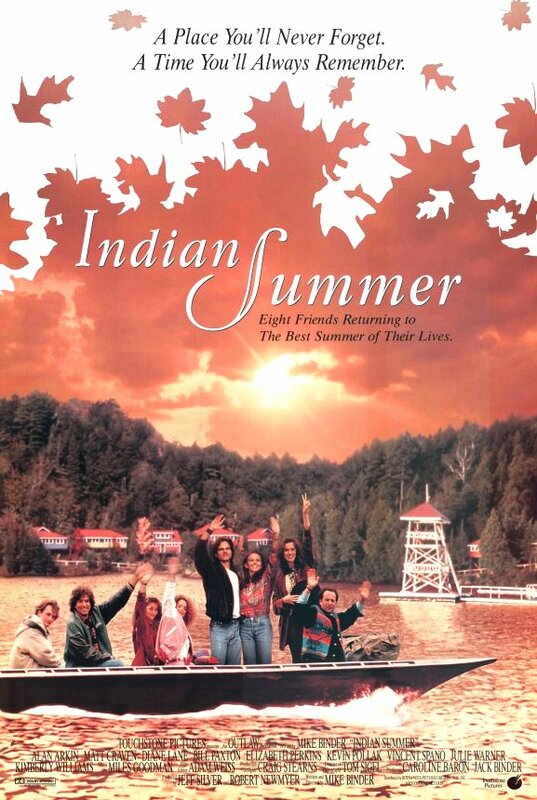 The story is quite mediocre and the characters are all stereotypes that help represent the different kind of campers and friends one might recall when thinking back to those summers of years ago. The story moves along quite slowly with very little really happening. There may be nostalgic moments for the characters and those that know them, but it just doesn’t work the same way for the audience looking at underdeveloped cliched characters who reconnect so easily with people they haven’t seen in twenty years. The cast is quite talented and it’s nice to see lots of familiar faces, but none of them are really helpful in making this film more interesting. Alan Arkin, Bill Paxton, Kevin Pollack, Elizabeth Perkins, Kimberly Williams, Matt Craven and Diane Lane are all usually fun to watch, but when they have so little to say that is interesting, it’s quite difficult to care what will happen to any of them. Bottom Line – Pretty average and somewhat tedious film about childhood nostalgia. The cast is quite good, but not much really happens during the course of the film that we care about. The characters are all pretty cliched and none are developed well enough for us to want to really care about what happens to them.